The Astros' Jose Altuve scores the game-winning run past the Yankees catcher Gary Sanchez during Game 2 of ALCS on Saturday, in Houston, TX. The Astros won 2-1 to take a 2-0 lead in the series. 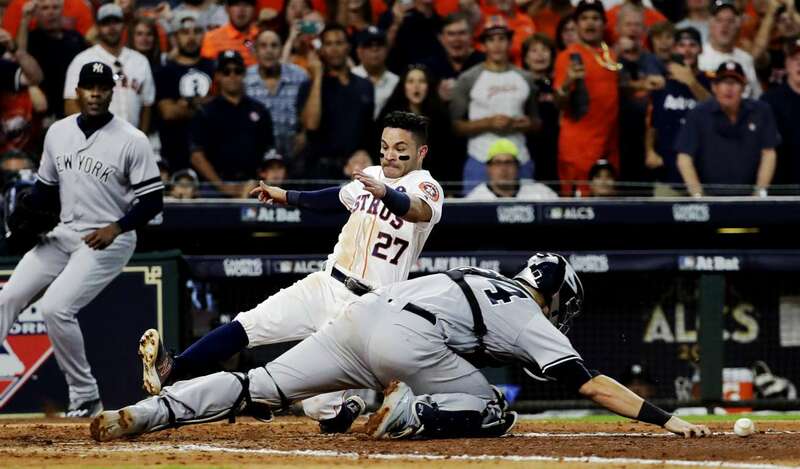 Jose slides a winner The Astros' Jose Altuve scores the game-winning run past the Yankees catcher Gary Sanchez during Game 2 of ALCS on Saturday, in Houston, TX. The Astros won 2-1 to take a 2-0 lead in the series.